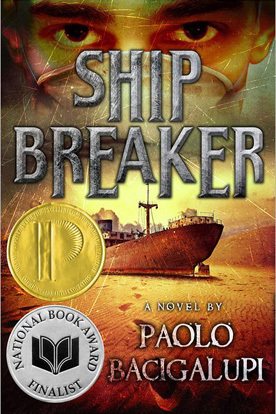 Paolo Bacigalupi first stormed his way into the world of YA sci-fi with SHIP BREAKER, an award-winning and richly imagined tale of scavengers in a post-apocalyptic future. It was vivid, hyper-detailed in its world-building and characterization, and told with verve and a crackling, dangerous energy. He has returned to this world with a companion novel — not a direct sequel — called THE DROWNED CITIES. And it’s somehow even more immersive, propulsive and compulsive. Bacigalupi has crafted a narrative that is more dangerous, more richly imagined, and wider in scope than that in SHIP BREAKER, even as he hones his focus. It’s a rare achievement. THE DROWNED CITIES explodes out of the gate with an extraordinarily visceral and thrillingly sustained reintroduction to one of SHIP BREAKER’s most fascinating characters, the genetically engineered, ferocious, mythic and complex half-man called Tool. Although the story takes a few beats after that, crunching gears to suddenly slow down its pace as we meet the new characters Mahlia and Mouse, it picks up again steadily, and then just doesn’t stop building its intensity and pace. Seriously, it just gets bigger and badder and faster and more overwhelming until it reaches its crazy, symphonic crescendo of a conclusion. It’s one of those stories that propels you through it, making you care about every character, every detail. Bacigalupi has a natural affinity for the rough-hewn poetry of his brutal, hybrid future-state America. The environment and atmosphere, the humanity, the tech, are all grounded in a gritty, visceral reality. It really does feel like a believable, if terrifying, future. 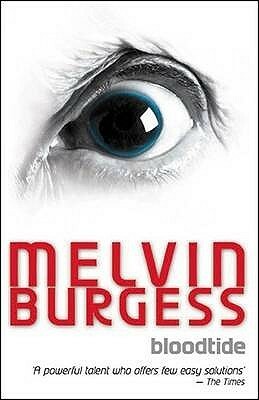 The apex of this kind of YA literature must surely be Melvin Burgess’s BLOODTIDE, which fused Norse myths with the burnt-out tech of a dystopian future London to create a stunningly imaginative and rawly poetic YA tour-de-force. It’s to Bacigalupi’s credit that he builds his powerfully imagined world pretty much from the ground up, and reaches those same innovative, poetic heights of violence and mayhem, sadness and hope. 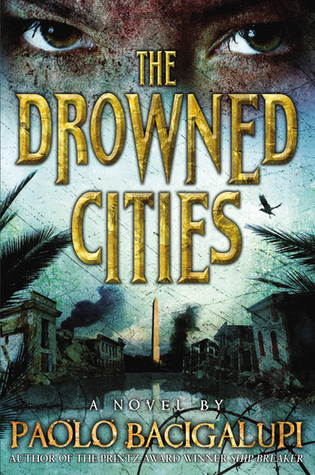 THE DROWNED CITIES is powerful, hypnotic story that will consume you, and stay with you. We can only hope that Bacigalupi has plans for a third novel set in this world. The velocity and trajectory of this novel demand it. Come on, Paolo. You know you want to! This entry was posted in Writing and tagged Bloodtide, Dystopian, Genetic Engineering, Melvin Burgess, Paolo Bacigalupi, Post-apocalyptic, Sci fi, Ship Breaker, The Drowned Cities, YA. Bookmark the permalink. Still time! YA sci-fi giveaway!